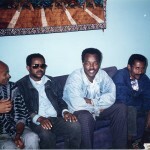 This page contains photos of Dawit Isaak, the Swedish-Eritrean journalist and playwright who has been a prisoner of conscience in Eritrea since September 23, 2001. 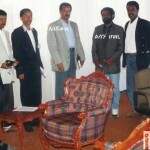 These photos are not in the public domain. I do not hold the copyright, but I can help you get in contact with copyright holders in case you would like to obtain a permit to publish the pictures. Use the form below to contact me, and specify your purposes and which pictures you are interested in. 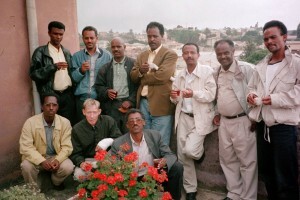 Dawit Isaak (standing, middle) together with Eritrean and Norwegian playwrights. Picture taken on the roof of the Ministry of Education in Asmara, Eritrea, during a playwrights' workshop in september 1999. Photo: Karl Hoff. 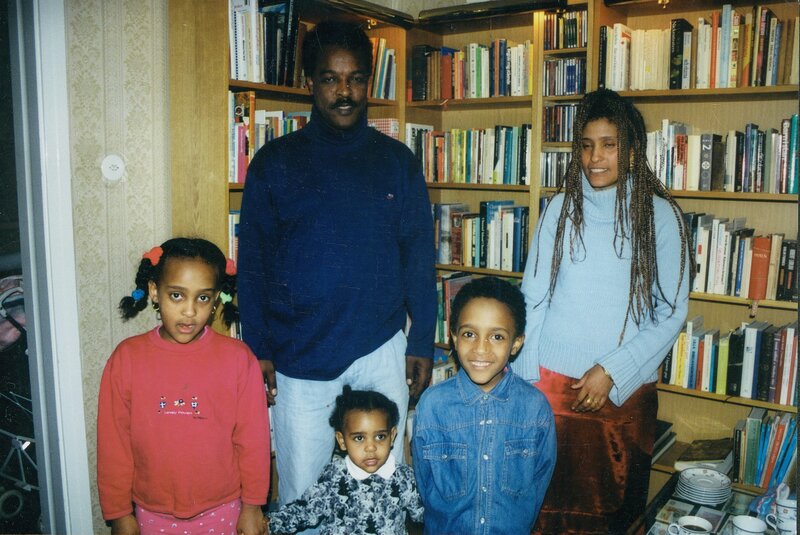 Dawit Isaak with wife Sofia Berhane, children Betlehem, Danait and Yoran. Photo: Milvi Olander. 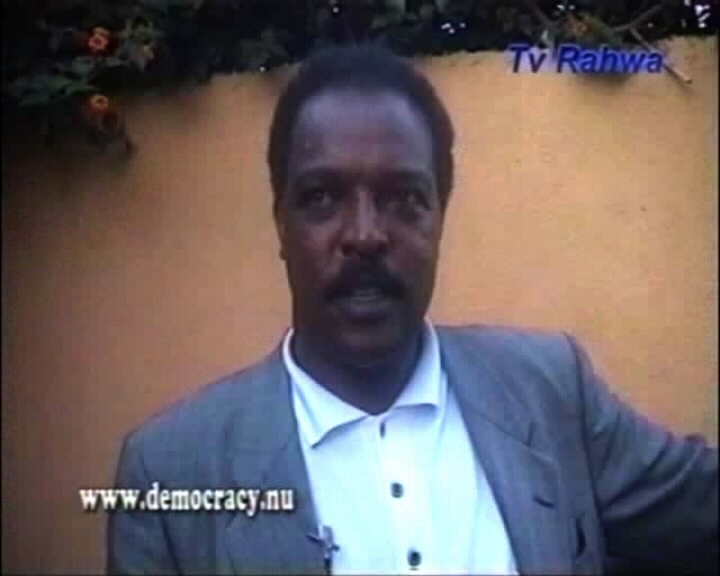 Dawit Isaak in an interview with TV Rahwa, August 2001. 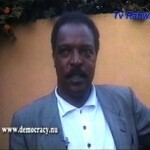 Photo: TV Rahwa. 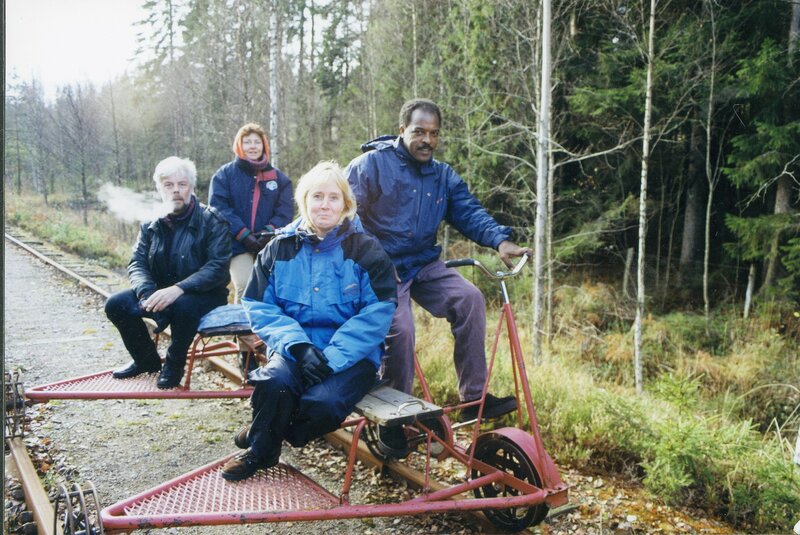 Dawit Isaak on rail-cycle hike with colleagues in Värmland, Sweden. Photo: Birgitta Holmer. 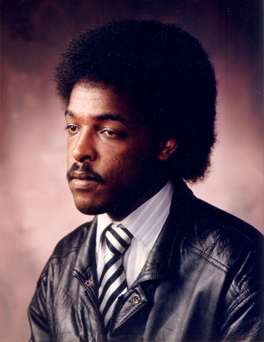 Dawit Isaak portrait. Photographer: Kalle Ahlsén. 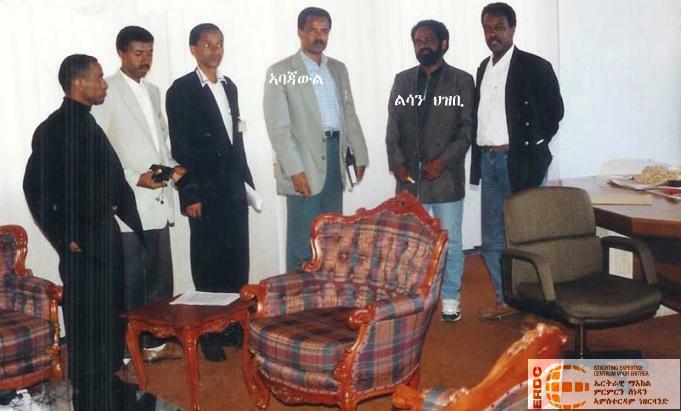 Journalists Dawit Isaak (first right) and Fessehaye "Joshua" Yohannes (second right) and others with Isaias Afeworki (third right), president of Eritrea. Photographer: Unknown. 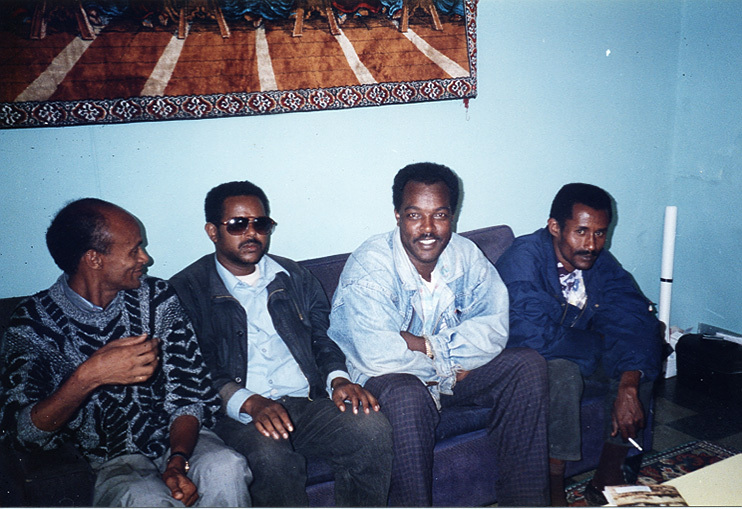 Dawit Isaak with colleagues, 1995. Photo: Karl Hoff.